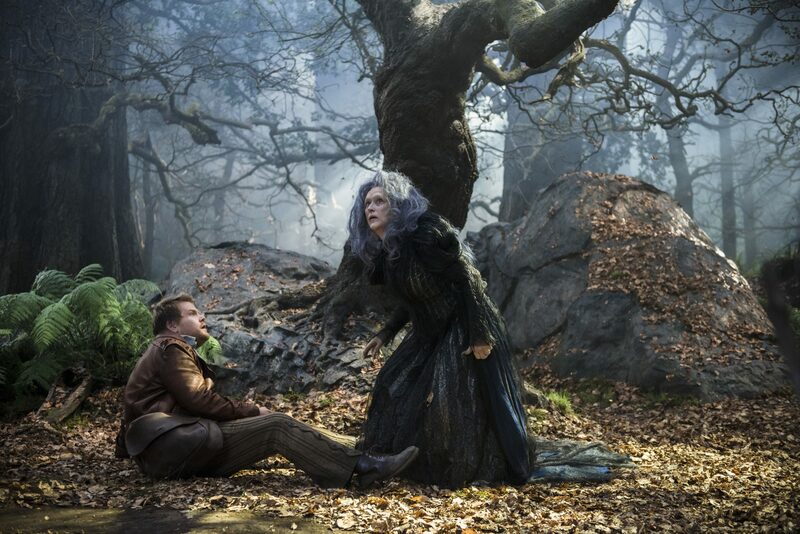 Meryl Streep’s witch character delivers a line in Disney’s Into The Woods, which recently came to Netflix. She says “You’re so nice/you’re not good, you’re not bad/you’re just nice.” This idea, originally penned by Stephen Sondheim, serves as an effective critique of the latest adaptation. The film version is a tame, whitewashed version the original play that loses its dark thereby losing its light to a cloudy, unfocussed conclusion. But not one without hope. The cleverness of the original musical is that it brings these classic fairy tales up against deeper and darker contemporary social situations, but in this Disnified remake these powerful allusions are unfortunately reduced back to their safe stereotypes. For example, the Big Bad Wolf in Sondheim’s original is given heavy sexual undertones. Though you can still hear this if you listen in to the lyrics, the deeper meaning is lost here amidst Depp’s silly performance and obvious wolf costume. The staging contradicts the lyrics as it feels like Disney would rather pretend these darker themes don’t exits. In the Sondheim original, the audience is given an opportunity to see themselves in the character of the Witch who is portrayed as a relatable mother with control issues, however Streep’s cliché’d rendition relegates her back into a stereotypical “evil witch” costume once again, safely distanced from any opportunity for real identification from the perspective of the viewer. The Rotten Tomatoes critic consensus states that it “darkens to its detriment in the final act,” but in fact, quite the opposite has occurred here. By the time the final act is reached and the audience has had its fill of ironic and lighthearted fairy tale humour, there is no clear transition. By skipping the “Agony Reprise” from the original, the theme of disillusionment and shattering of world-views is lost. So when the Baker’s wife is thrust into the difficult theme of infidelity it just feels sort of odd. By omitting the death of the Narrator the audience misses the clear nod toward the post-modern theme of the death of the meta-narrative. When the Witch gives her Nietzschean rant, it ought to reveal the nihilistic consequences of these deconstructive actions. But here it plays out like a classic scary witch scene during which children divert their eyes. Despite all of this, the film is not without a glimmer of sunshine. The refrain “I wish” runs throughout this film. Sigmund Freud famously considered all religion and belief in God to be mere “wish fulfilment.” As each of these characters head into the woods there is a Freudian sentiment at play here that it is in these places of uncertainty that our long-held beliefs are revealed to be mere idealism and fantasy. But as the idealisms are shattered and the confusion settles in, the words to the final song, “No One is Alone” rings out as the sun begins faintly to peek through a cloudy sky. As Cinderella shares the final words “I wish,” she reveals a hunger, a hope, in these lost characters for a true transcendence.